1.1 Tick « To Validate ». 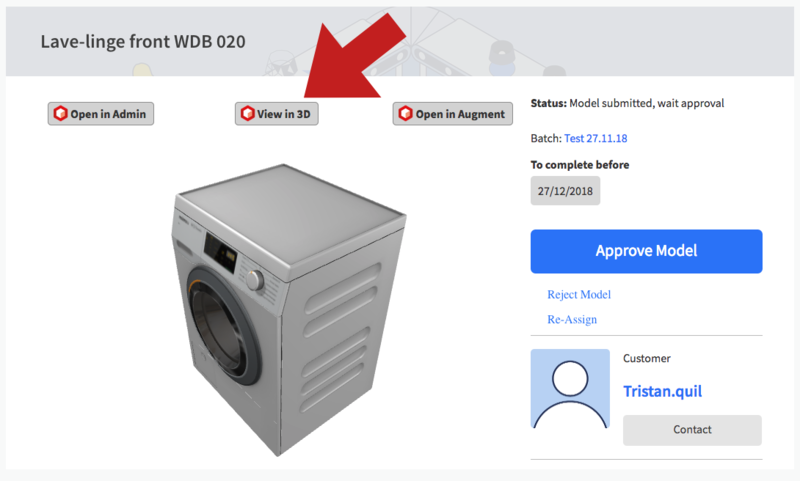 1.2 Click on "View in 3D". 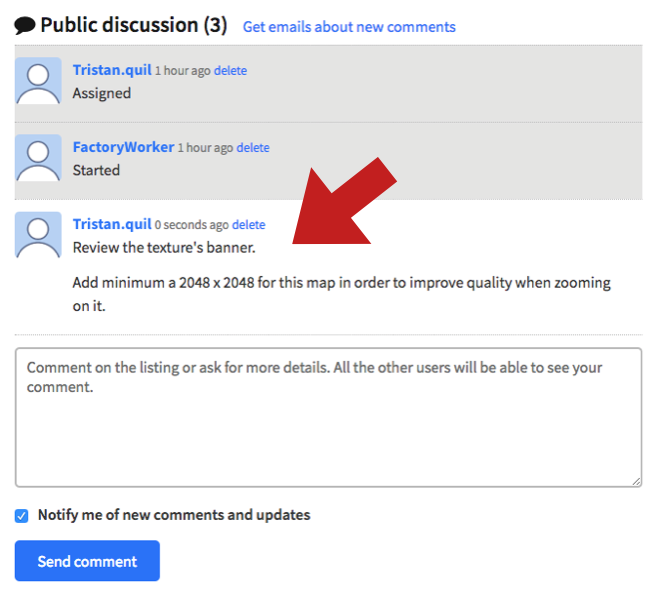 1.3 "Reject Model" and add comments on the "Public Discussion" if retakes are needed. 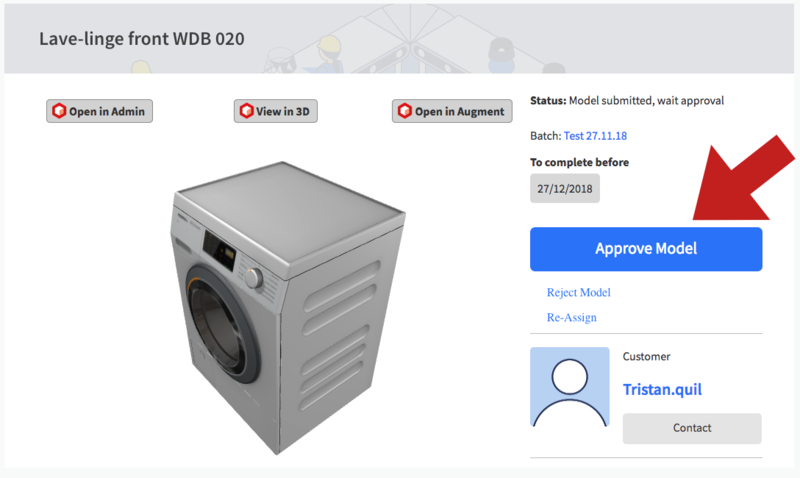 YES >> Once approved your 3D model will be copied to your Augment's account on manager.augment.com and automatically link to retailer's web and mobile products pages using GTIN (EAN) information. 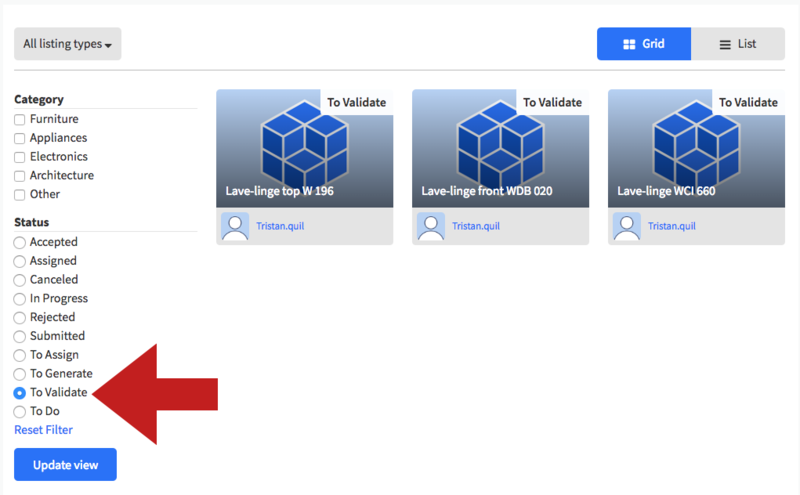 NO >> Once approved your 3D model will be copied to your Augment's account. Find it available on manager.augment.com and on the mobile app.